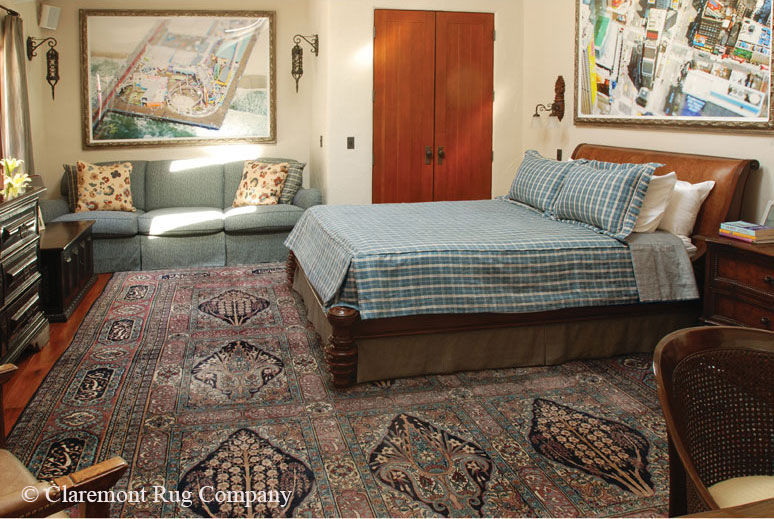 When I founded Claremont Rug Company in 1980, a gallery that specialized exclusively in older Oriental rugs was not unusual. However, a company whose niche was art-level antique carpets was revolutionary. When I founded Claremont Rug Company in 1980, a gallery that specialized exclusively in older Oriental rugs was not unusual. However, a company whose niche was art-level antique carpets was revolutionary. Except among a handful of collectors and scholars, rugs were then viewed as no more than luxurious home furnishings. 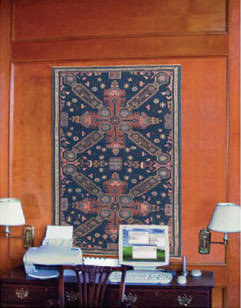 This collectible tribal rug from the Caucasus Mountains is utterly striking displayed on the wall of an executive’s home office. To introduce their Whole Home Collection, this connoisseur couple displays a ‘Tree of Life’ Serapi and an early 19th century Bakshaish carpet in their entry hall. Now, in the wake of the April 2010 sale of a 17th century Kirman rug at Christie’s auction for $9.59M (twice the previous world record set only last year), antique carpets are broadly acknowledged for their aesthetic achievement and their rarity. Historic carpets now regularly sell in seven figures and attention has turned to art-level 19th century rugs. These have the additional dividend that they can still be used on the floor. For the past three decades, I have guided a great number of clients in distinguishing the rare category of antique art rugs from the mass of older rugs still in existence. 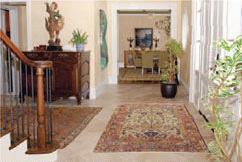 My business had previously been based in connoisseurship-searching out just the right rare, collectible piece-and what I didn’t entirely foresee was that once clients learned to discern the artistic impact of carpets, some would become inspired to literally “put them everywhere.” Thus, the era of the “Whole Home” project was born.  In 2008, we completed eight such ventures, each involving the placement of 15 to 40 rugs in a single residence usually over a period of months, but in some cases in a single appointment. In 2009, the number of these projects jumped to 25 and this year we are on pace to complete nearly 50. The number of clients who consider the best antique rugs to be equal to other forms of art appears to be reaching critical mass. Many of these projects include hanging particularly rare rugs on the wall as part of an art collection. The residences in which we complete Whole Home projects are memorable environments, superbly constructed with the finest materials and a mature design sense. Whether the homes are traditional, contemporary or cutting-edge glass and steel, the great diversity of art-level carpets reflect consummate craftsmanship, aesthetic grace and harmony equal to that of the home itself. Long-time connoisseurs of early village carpets, these clients enjoy the crown jewel of their collection in their elegantly appointed living room — a nearly 200-year-old Bakshaish from the Azerbaijan weaving district of Persia. A Whole Home project typically begins with clients formulating their vision of the environment they wish to create. Clients show us architectural drawings or photographs of their rooms and tell us about the other art that will be nearby. If they are still forming their ideas, we show them photos of other clients’ homes and rug collections. We may start by determining which styles to focus on based on their comments about the ambiance they hope to create: elegant or casual, modern or traditional, rustic or high-style. We then work to identify which styles of carpets reflect both their aesthetic interest and the aim of their design scheme. Then, either at our gallery or directly in their home, we show a series of appropriate carpets usually presenting three or four multiple-rug suites of compatible carpets, or demonstrating the impact of a suite of rugs versus that of a single, palace size carpet. 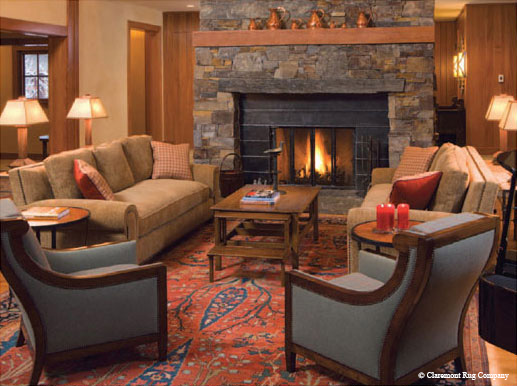 Antique rugs effectively create a mood, and with so many geometric and floral styles, any atmosphere can be created. From the spare, graphic lines and clear colors of Serapis or Bakshaishs to the intricate, melodic pattern language and more muted hues of Laver Kirmans, the panoply of antique carpets offer a wealth of design directions. Throughout, we work to balance the decorative needs of clients’ homes with their interest in building private collections of noteworthy pieces that will continue to grow in rarity. In view of the entry hall shown on the opposite page, this antique Sultanabad with a rare maize-toned field unifies the eclectic elegance of this congenial space. Sometimes the architecture of a particular home leads us to suggest certain rug styles. One project required an oversized carpet in the main sitting area to enhance its majestic architecture and mountain views. The client selected an unforgettable Sultanabad village carpet. Its naturalistic mood and striking artistry distinguished this important area and established the ambiance for the rest of the carpets in this grand residence. 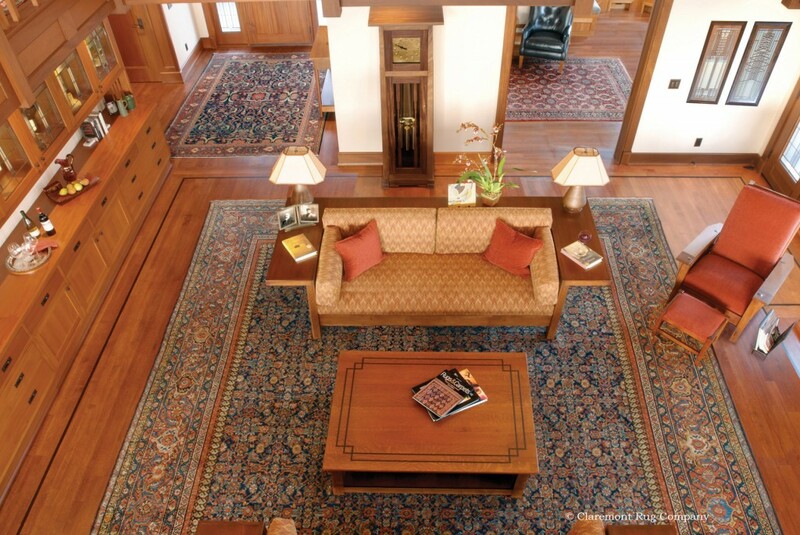 Clients with a developed eye for color are drawn to the broad tonal spectrum of the best antique rugs. Wool soaked in vegetal dye baths provides a kaleidoscope of hues and subtle layers of shading instead of the blocks of homogenous color that lesser rugs contain. Like the pigments in an Old Master painting, the colors of naturally dyed antique rugs soften and gain a magical patina with the passage of time. The myriad primary and secondary hues of art carpets can enrich the subtle nuances of the most sophisticated color waves. For instance, the classic Tuscan palette often prompts us to introduce clients to Hadji Jallili (Haji Jalili) Tabrizs and Laver Kirmans that feature earth and pastel tones. A client who owned a company in the textile industry knew well how the colors in properly selected rugs enhance an environment. Recently, she decided to put fine carpets in every room of her Spanish style home. 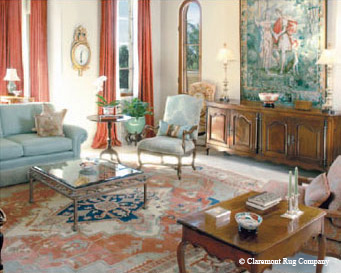 She started the project in her refined great room adorned with early French and Italian furniture and Old Master paintings, where we placed a suite of four Laver Kirmans, noted for their delicate colors and intricate designs. The rich patina of this suite of four connoisseur-level carpets quietly supported her paintings and created a sublime Old World ambiance. 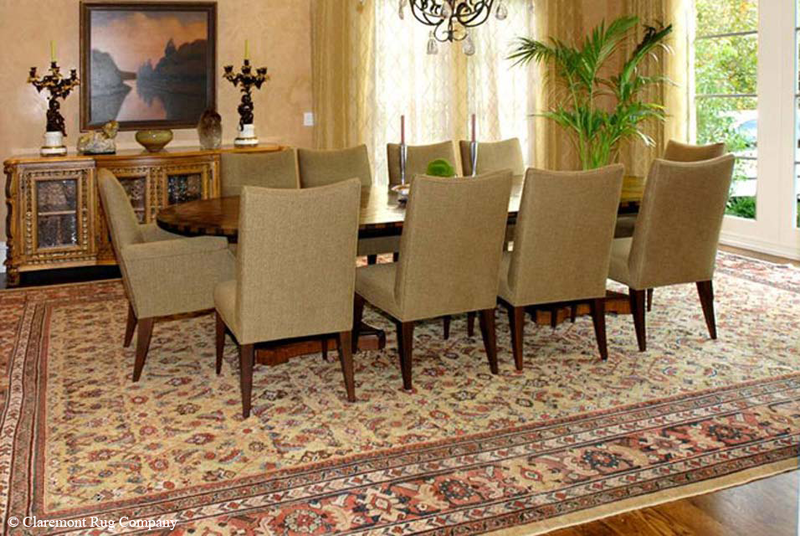 Some commission us to create collections of rare rugs to take center stage in their decors. Clients living in a magnificent Mediterranean-inspired home wished to showcase investment-level Bakshaish and Serapi carpets. 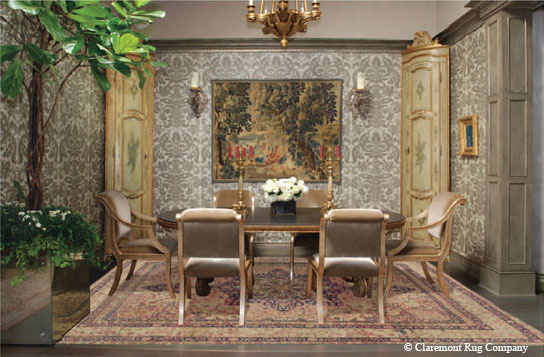 The early 19th century Bakshaish carpet that graces their living room is mesmerizing in concord with their antique American furniture and California Impressionist paintings. The use of 27 other collectible carpets throughout their home completed their unwavering aesthetic vision. We assisted another seasoned collector in choosing 38 highly collectible tribal rugs for the floors and walls of an ultra-modern home with 20-foot windows. The strategic placement of so many exemplary pieces with angular, graphic designs upheld the minimalist aesthetic of his home, while contributing warmth and depth to the surroundings. Another couple built a majestically tooled Arts and Crafts-style home with an open-plan interior, partially because they wanted the enjoyment of viewing several rugs at once. As the compatibility among the rugs was central in their decision-making, we assembled a formidable inventory to explore directly in their home. They selected 23 pieces in a single-day session, including a six-carpet grouping for the public area. I often have the privilege of working with serious art collectors who are quickly moved by the great visual impact that art-level carpets offer. They “get” rugs quickly, and are often taken aback by how perfectly they unify the various elements in a room and support their other collections. I have had the privilege to put a highly refined Kerke Kashan beneath a Lichtenstein and a Richter, and a geometric Malayer Camelhair in a living room which had a Kandinsky over the mantle. I have also enjoyed furnishing rooms spotlighting Diebenkorns and Warhols, early Chinese porcelain, sepia photographs and worldclass furniture. Many clients have little previous exposure to antique art rugs as, with any medium, the percentage of truly inspired works is minuscule compared to the total output that was created. They soon discover that larger carpets are enormous canvases that immerse them in the artwork, enveloping them just as a Renaissance fresco surrounds us. They find this unique intimacy with the myriad colors and designs to be enrapturing. The primary allure for clients who build Whole Home collections is that antique rugs of high artistic merit play an invaluable role in creating a home atmosphere that is deeply nourishing and inspiring. Antique art rugs as an established depository of wealth are particularly attractive in these times. Recently, The Wall Street Journal (June 18, 2010) devoted two full pages to rugs, declaring “some of the most coveted masterpieces now are the ones on the floor.” Little over a decade after historic rugs broke the million-dollar mark, the world-record price is almost ten times that. The best 19th century carpets have also substantially increased in value, yet remain very modestly priced relative to other forms of art. The primary allure for clients who build Whole Home collections, however, is that antique rugs of high artistic merit play an invaluable role in creating a home atmosphere that is deeply nourishing and inspiring. Multiplying this effect room-by-room creates an inviting sanctuary from the demands of hectic modern life.